As you probably have already guessed, I rarely celebrate St. Patrick's Day. Nothing personal, I just forget about it every year until the day it rolls around. But with so many fellow bloggers posting tasty looking Irish inspired treats this week, I felt a little left out. 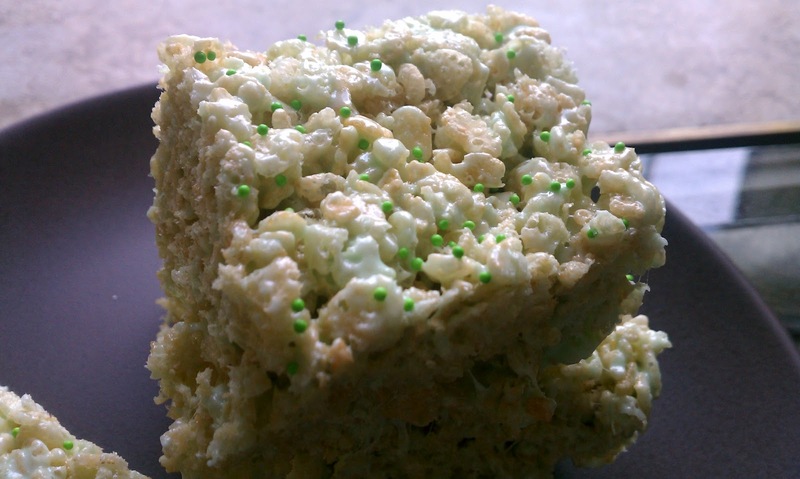 So, instead of the traditional beers and breads, I opted to make something St. Patrick's Day inspired that my whole family could enjoy... green rice krispy treats! Ok, so they didn't turn out as green as I would have liked, (heck, the salad I made yesterday was a whole lot greener) but they were so easy to make ﻿that even Lorelai was able to help. She was diligent about picking up the spilled marshmallows on the stove, then proceeded to eat them all. 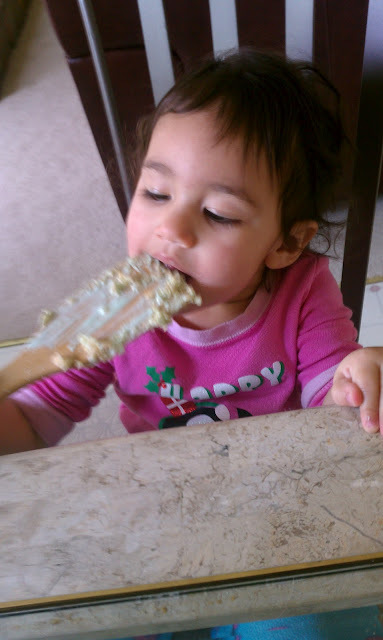 And she had a ton of fun stirring the rice krispy/butter mixture. Melt the butter in a medium saucepan on very low heat. Once the butter is melted, add the marshmallows and stir until completely melted. This may take 5-10 minutes. When the marshmallows are melted and very smooth, stir in the food coloring. In a large mixing bowl, add the cereal and marshmallow mixture and stir together until well combined. Press mixture into a 7x11 baking dish coated with cooking spray. Use the back of a large measuring cup to help smooth out the mixture. 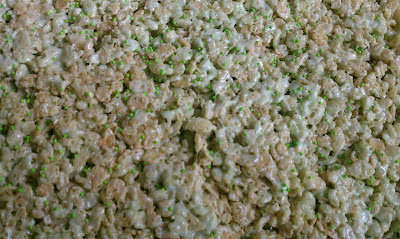 Top with green sprinkles and let cool. 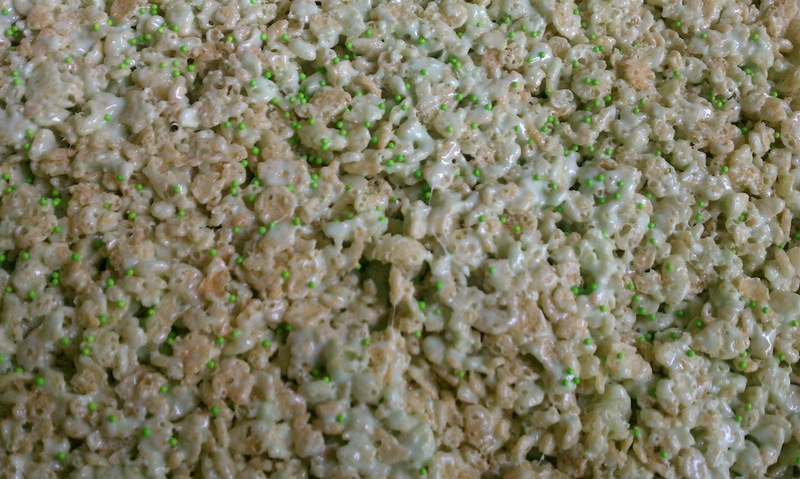 Makes about 12-15 rice krispy treats.